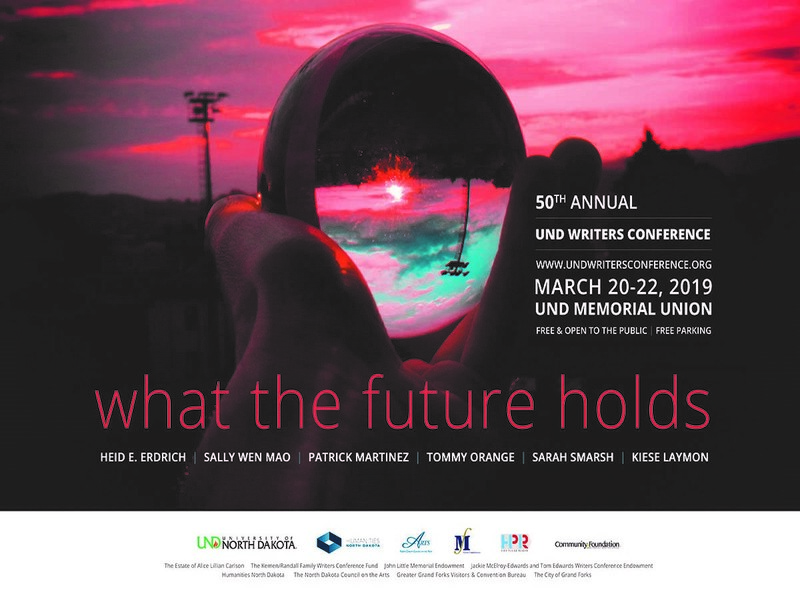 The University of North Dakota Writers Conference is pleased to announce the line-up for the 50th Annual UND Writers Conference, “What the Future Holds,” which is slated to take place March 20-22, 2019 on campus at the Memorial Student Union (free parking is available). Non-fiction writer and journalist, Sarah Smarsh, author of Heartland: A Memoir of Working Hard and Being Broke in the Richest Country on Earth, whose reading will be a Humanities North Dakota GameChanger Event. In addition, Sally Wen Mao, whose poetry collection Oculus has been declared a “must read” of 2019, and renowned multidisciplinary artist Patrick Martinez (who comes highly recommended by our friend Mario Ybarra, Jr., UND Writers Conference 2017) will be joining us, along with North Dakota’s own Heid E. Erdrich! Books by this year’s UND Writers Conference authors are currently available at the UND Campus Bookstore, the Grand Forks Public Library, the Chester Fritz Library, and elsewhere. For a complete list of the authors, their works and additional Conference information go to www.undwritersconference.org. For information on hotel accommodations at special conference rates, click here. For additional information, contact UND Writers Conference director Crystal Alberts.